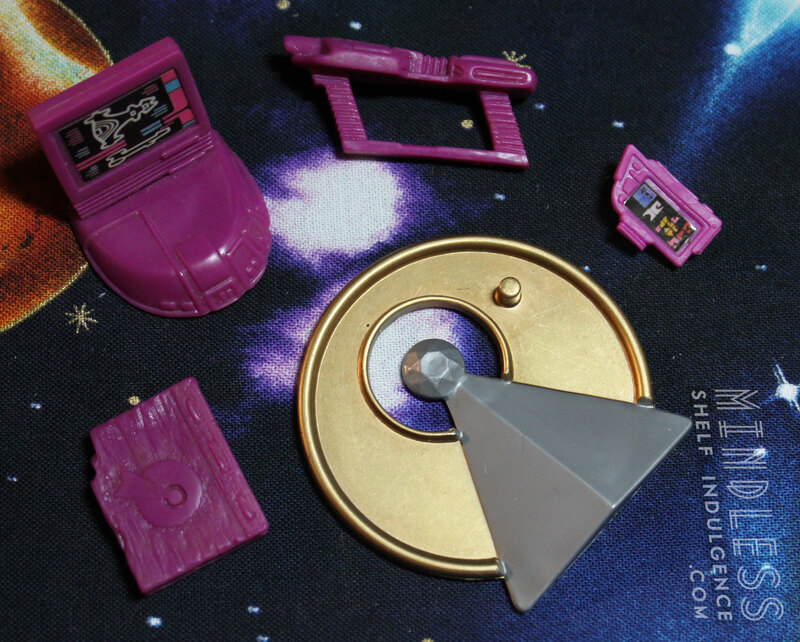 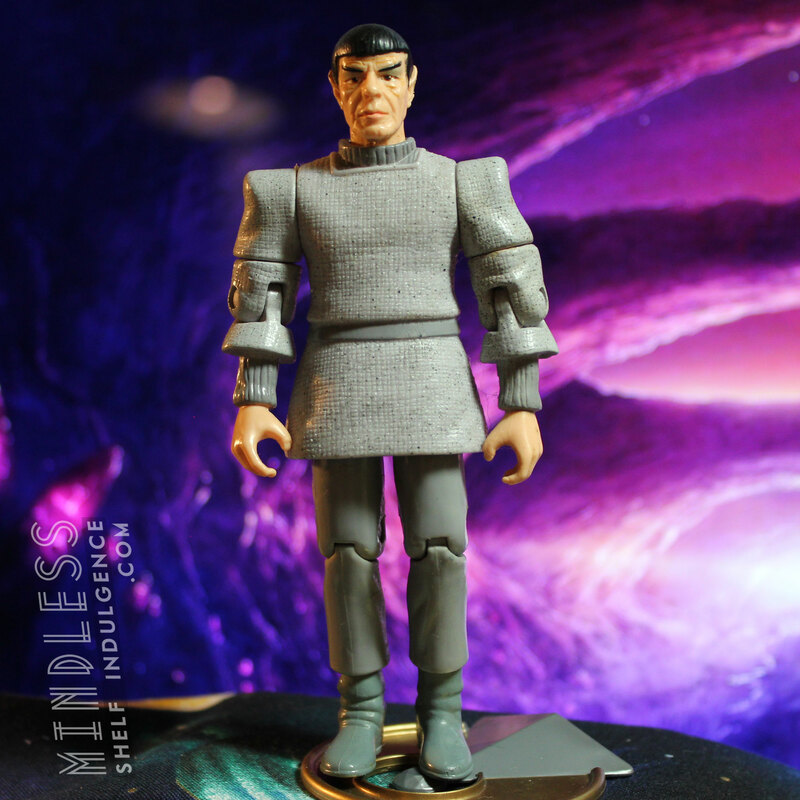 Ambassador Spock, from the episode ‘Unification’, comes with dark pink/purplish Romulan accessories, a Vulcan book, and a Vulcan IDIC logo base. 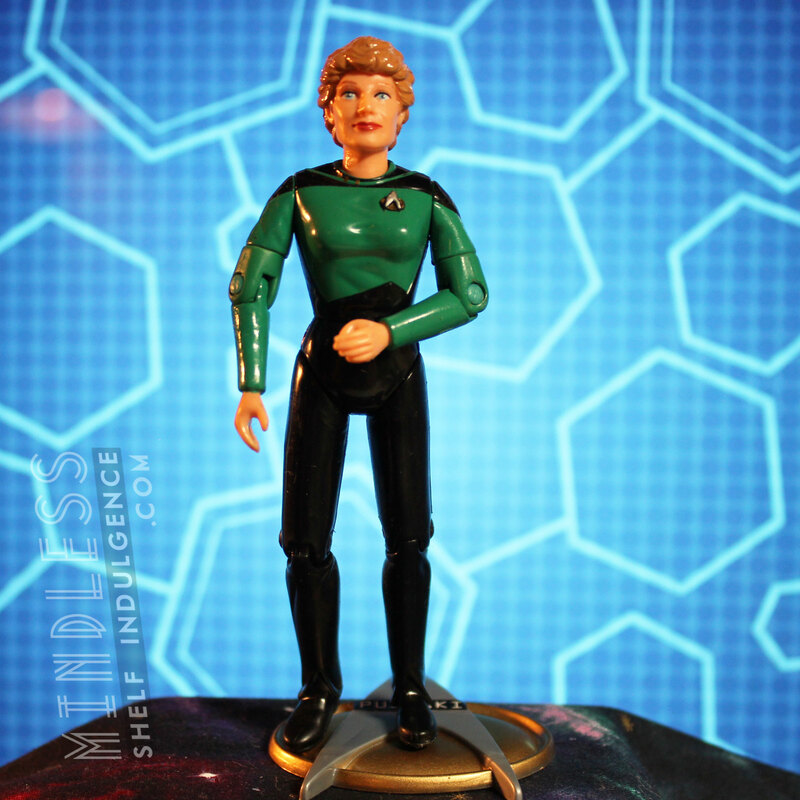 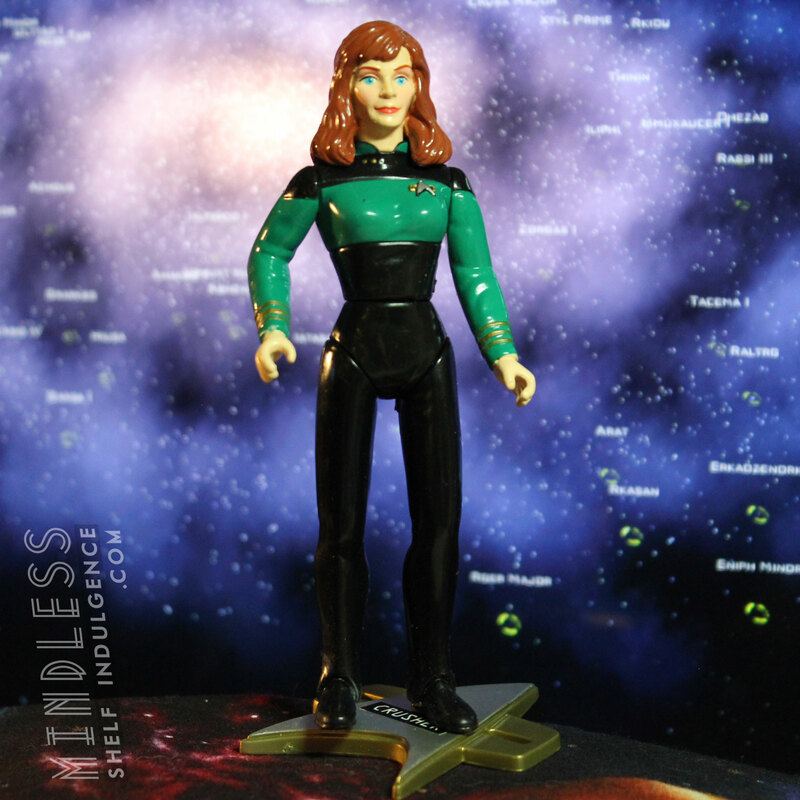 Spock is one of three Original Series figures to get the Next Generation treatment, alongside Scotty (Captain Scott) and Bones (Admiral McCoy). 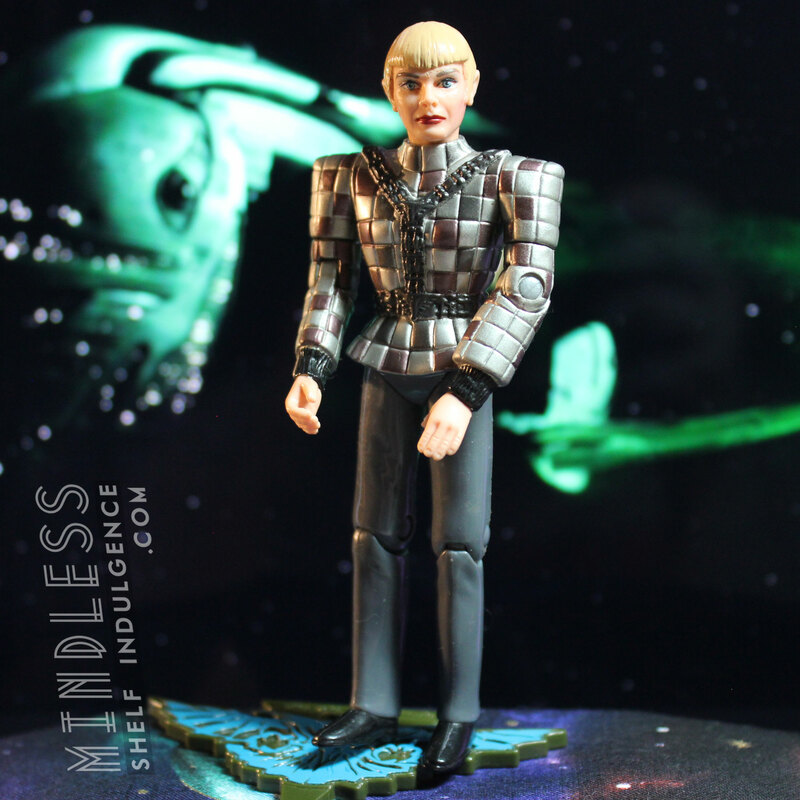 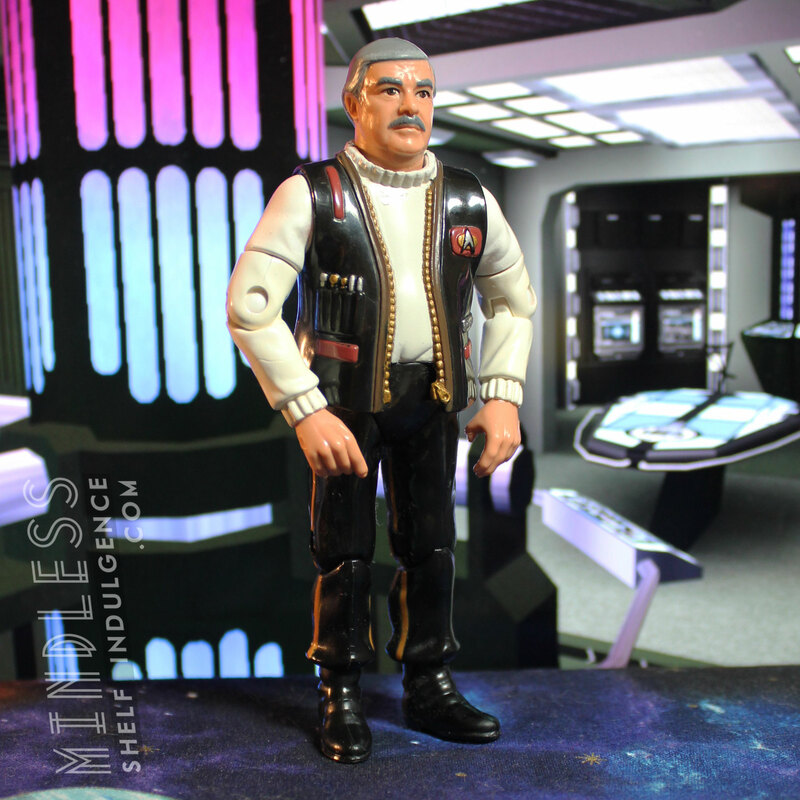 The episode arc spawned many action figures, including Data and Picard as Romulans, and Spock’s father, Sarek.